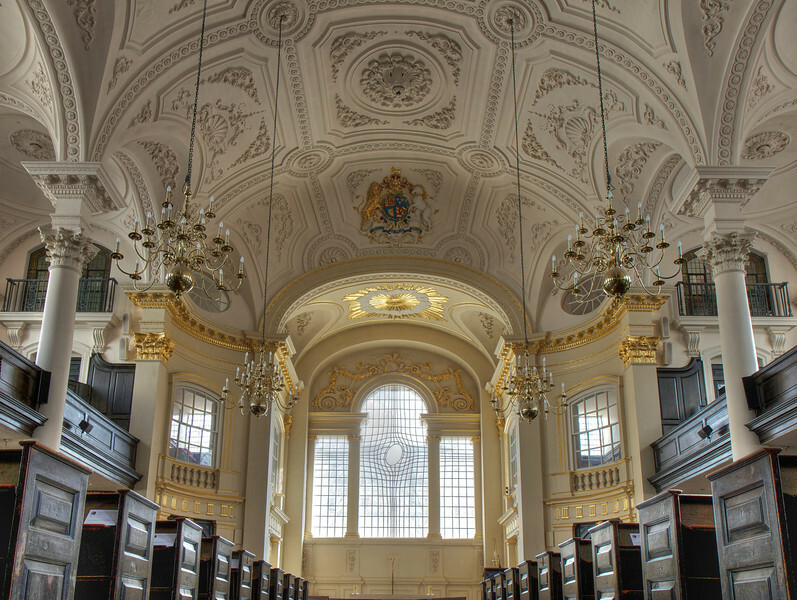 Saint Martin-in-the-Fields is an Anglican church at Trafalgar Square in London. The church is dedicated to Saint Martin of Tours. Martin, after a career in the Roman army, entered the Christian Church and became Bishop of Tours. He is remembered for an act of generosity by cutting his cloak in two to give to a beggar clad in rags. According to the church website there is no official reference to a church on the site of Saint Martin’s until Norman times, when in 1222 a dispute was recorded between several parties on the Bishop’s authority over the church. James Gibbs designed the present church and was completed in 1726. Gibbs drew on the work of Christopher Wren (architect of over 50 churches in London including Saint Paul’s Cathedral) but departed from Wren’s practice in his integration of the tower into the church, according to WIkipedia. The design was criticized at the time but has established itself as a landmark and copied widely in the U.S. It has become one of the most significant ecclesiastical buildings in the English-speaking world, according to the church website. The church is one of the most famous churches in London, according to Wikipedia. The church is the parish of the Royal Family, 10 Downing Street, and the Admiralty. The church flies the White Ensign of the Royal Navy rather than the Union Flag.